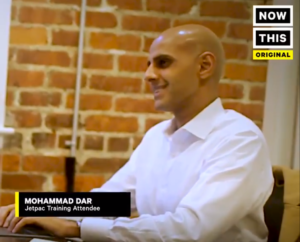 Dr. Mohammad Dar in a training session with Executive Director Shaun Kennedy in 2017. Jetpac believes fair representation will make for fair treatment of minorities. Help us build the American Muslim political infrastructure today.